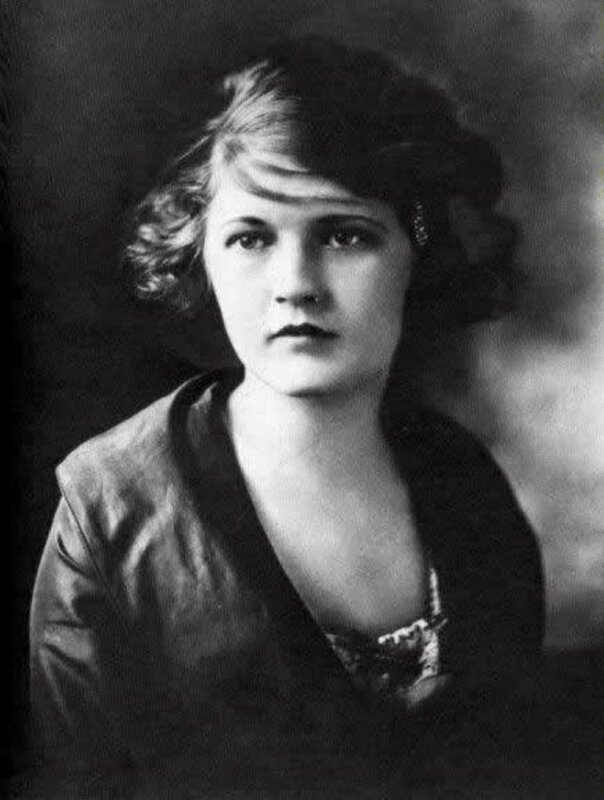 Artisan perfumer Shelley Waddington was inspired to create Zelda in 2013 as a tribute to an icon of the Jazz Age, Zelda Fitzgerald. Her husband F. Scott Fitzgerald called her “America’s first flapper”. An accomplished dancer, writer and painter, Zelda was a woman ahead of her time. Tragically, she struggled with mental health problems for much of her life and died in a fire at a psychiatric hospital in her late 40s. 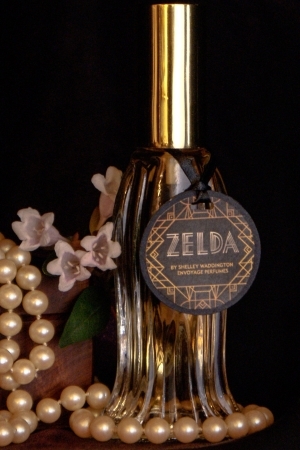 While Zelda references vintage fragrances, it does so with quality and complexity. The twin hallmarks of old-school perfumery, soap and powder, are present but not in the least overwhelming. The triumvirate of galbanum, magnolia and mousse de chene (oakmoss) also contribute greatly to the glorious vintage effect. Although it is reminiscent of the perfumes of yesteryear, it doesn’t feel like something that should be in The Osmotheque. It’s very wearable in the here and now. Base notes: smoky amber, vintage musks, vanilla, balsams, sandalwood, vetiver, cedarwood and mousse de chêne. On first encounter, Zelda is ravishing, savvy and confident but its heart is vulnerable and its soul is multi-layered. It is a grown-up perfume in a time when so many fragrances cater to youth. It demonstrates intelligence in an age of dumbing-down. It tells the complete story with a beginning, a middle and an end at a time when so many others give up all the goods on first spray. The vivid green of galbanum in the top notes is cool, astringent and striking. It is very much underused in fragrances today and is the very antithesis of the sugar syrup that dominates modern mainstream perfumery. The addition of a squeeze of bergamot and a sprinkle of piquant spices makes for a truly stunning opening. The heart of magnolia is creamy, luscious and a little heady but there is also a mossy darkness surrounding its edges. It is a luminous bloom in the half-light. Zelda is inviting you into her world of bright lights and dark shadows where nothing is quite as it seems. You find out that she is far from the vacant flapper, the quintessential 1920s party girl. She is far more interesting and clever than that. In the final hours we feel the darkness encroaching as the very last waxy petal is taken by the breeze. The enigmatic base is as complex as the notes suggest. I find it to be largely resinous, becoming more balsamic over time with little puffs of amber. There is just the right dose of musk to entice you further into its depths rather than frighten you away. It is as seductive as a deep, dreamless sleep after a long, tumultuous day. Zelda is a mini-biography in fragrant form. A small wonder. This entry was posted in By Tara, Floral, Fragrance Reviews and tagged floral, Fragrance, Perfume, Review. Bookmark the permalink. Thanks, Val. That means a lot. I know how much you love it. Have a fantastic time in Milan. Sounds absolutely lovely Tara. I look forward to trying this soon. Sandra, if you love that vintage feel it’s an absolute must-try. This sounds divine. I feel the need to sample this one. Tatiana, divine is a good description. I hope you love it if you get a sample. Lovely review Tara. I like Zelda, but found that it’s best suited to be dabbed on rather than sprayed on as a little goes a long way. I agree, a little goes a very long way. It’s amazing considering the high amount of naturals it contains. I dabbed some on at about 8 in the morning and got a compliment on it at around 4 in the afternoon! Thanks, Joshua! Yes, I do have Vanessa to thank for my sample. I’m glad you’re pleased with it too. Although it does have magnolia at its heart, it’s so much more than that. Those who don’t normally get on with white florals have nothing to fear! This sounds like an interesting scent. I’m not sure how it would work for me. I despise oakmoss. I have tried and tried to appreciate it in vintage scents, and while I see the artistry of these fragrances I just do not want to wear them. I will sample Zelda, though. Hmm, if you really dislike oakmoss that much I think you may sturggle with Zelda but I admire you for trying it out anyway. You just never know. Wow, a fascinating review ! Makes me very curious about the scent. I’ve always been of the opinion that genius Fitzgerald heavily mistreated his wife. I’m happy that Shelley Waddington honoured Zelda with an exquisite parfum. Thank you LJG! Zelda Fitzgerald means a lot to some so I do hope they feel Shelley Waddington did a good job representing her in scent. I do think it’s exquiste. How lovely! I’m so pleased to hear you feel I captured it well. Galbanum is glorious, isn’t it? Do enjoy your upcoming anniversary and your bottle of Zelda! Zelda is a gorgeous perfume, Tara, and you did an exceptional job in describing it. I love your statement: “On first encounter, Zelda is ravishing, savvy and confident but its heart is vulnerable and its soul is multi-layered.” Beautiful and true to the scent. Suzanne, that makes me so happy! Thank-you. Zelda is gorgeous. I’m really pleased you think I did it justice. Great photo caption! And photo, and review. I keep this for special occasions and I try to find such an occasion each month. We have Birgit to thank for that great photo. As wearable as it is, I think keeping Zelda to wear once a month or so is a lovely idea. It would keep it special. This sounds wonderful. I’ll have to get a sample to try. Thanks for the review! Kandice, it manages to capture the same oakmossy, old-school perfumery feel as my vintage Vol de Nuit parfum which is quite wonderful. Hope you love your sample when you get it. I will never associate Zelda with anything else than our get together in London Tara. I am thinking FB just to remember that day, Just sitting here I get warm fuzzies remembering. You have done a marvelous review too. Thanks, Portia. I keep picturing you in Poppies pulling away the neck of your top, having a good sniff and marvelling at that wonderful spicy opening! Blind buys are so dodgy, I’m glad this one turned out to be a winner for you. I bet Zelda is perfect on a cold winter’s night. Tara, your insights into Zelda is uncannily accurate and your writing is so pleasingly authentic. You have penetrated the essence. I’m rendered speechless, other than to express sincere gratitude. Thank you for your touching kindness, each and all. Shelley, thank-you so much for reading and commenting. I really appreciate it. It is so gratifying to hear that you think I captured the essence of your stunning creation. This is such a poetic review, Tara. “On first encounter, Zelda is ravishing, savvy and confident but its heart is vulnerable and its soul is multi-layered” and “… a small wonder.” Beautiful writing, and a very evocative review of a beautiful fragrance! Thank you so much! You are so literary I really appreciate your compliment. Zelda did inspire me to wax poetic, it’s true. Oh I don’t know how I missed your review of this! What a wonderful review, and you are only adding to my desire to sniff this, I think it is the creamy magnolia blossom that really calls me. Alex, I have a feeling you’d like this one. The creamy magnolia with the darkness would really suit you. Ha ha! Very funny. Thanks V. And thanks so much for being so generous with your bottle. Much appreciated.